Some have waited thirty years for this. Picture yourself on the white island, 1989, basking in the soft glow of stimulants and moonlight. A piano house jaw dropper with a velvety helping of balearic nylon stylings. Echo, echo. 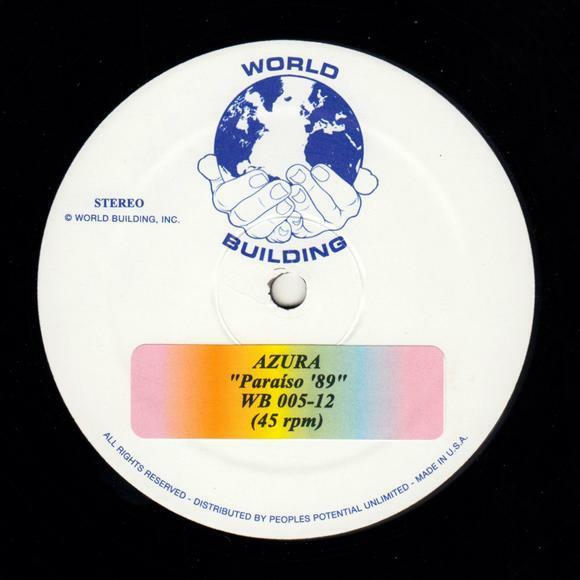 Nobody knows much about Azura, but everybody who was there remembers this one. Legendary soundtrack of technicolor summers, released now for the first time on vinyl. An instant classic, in some ways. Paraiso ’89 is out now on World Building. Check Discogs for the vinyl.